nights until late after everyone is in bed. I always feel there isn't enough time in the day. Story of every mom's life, right? So some nights, I just lay in bed wide awake. Did you know Magnesium plays a key role with rest? Research has shown that even a marginal lack of it can prevent the brain from settling down at night. Magnesium brings balance and helps control stress hormones. It eases nervousness, relaxes muscles and nerves resulting in a better night's rest. 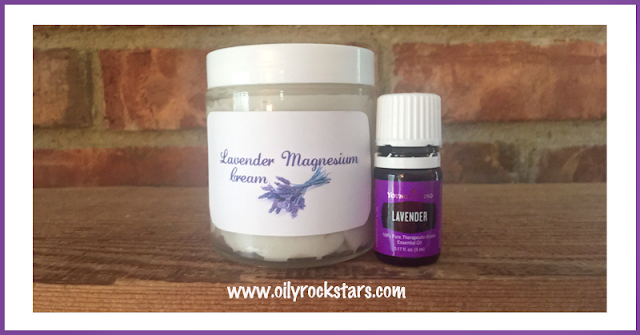 Lavender has a sweet, floral aroma that is very soothing. It is considered the Swiss Army knife of essential oils because of its benefits and uses. It's scent is soothing and refreshing, supporting a more peaceful environment for relaxation and rest. I heard someone say it should be called "the adult pacifier." Haha! Add 20-25 drops to a small spray bottle and fill with water. Use as a linen spray. Now what better combination to get a better night's rest than Lavender and Magnesium. It's a match made in heaven. 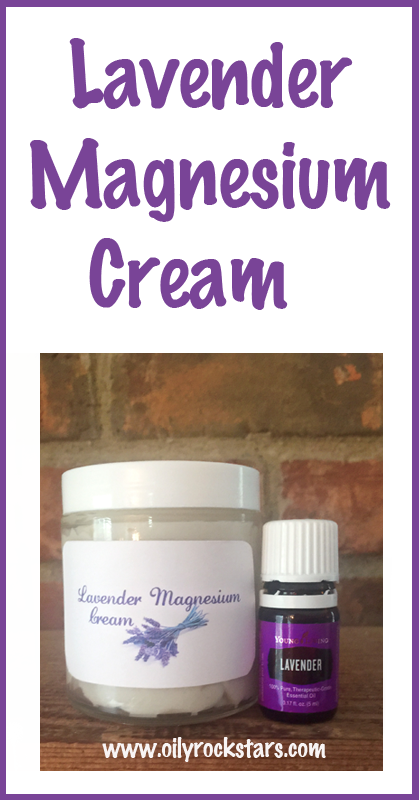 This Lavender Magnesium Cream has been my saving grace most nights. Directions: 1. Place magnesium flakes in a small container. Pour 3 Tablespoons of boiling water into it. Stir until dissolved. It will create a thick liquid. Set aside. 2. In a small pot, add 1-2 inches of water. Place a glass bowl on top. (You don't want the bowl to be so small it touches the water.) Place on stove burner. See picture below. Add coconut oil, beeswax pastilles and shea butter. Turn burner on medium-low heat. Stir until melted. 4. Then using a hand mixer on medium speed, start mixing. While mixing slowly add the dissolved magnesium a tablespoon at a time. Continue to blend until all magnesium has been added and is well mixed. 5. Lastly add your Young Living Lavender Essential Oil. Continue to blend until well mixed. 6. Optional, place in the fridge for 15-20 minutes and re-blend to get more of a body butter consistency. 7. Store in a glass container. You can buy some here Apply to feet every night before bed. Thank you for all your posts, I love my Young Living oils and am always looking for new ways to use them. Have you ever made the dishwasher soap? Is this supposed to set up hard? I think I may have over blended it. Mine is always a thick cream.